Yet more unlocked Maxis objects. 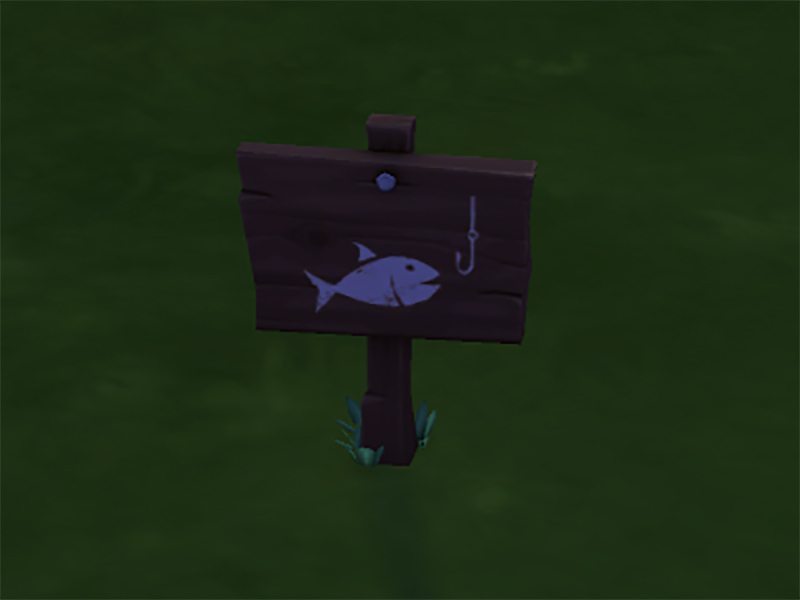 These are the fishing signs that are used to go fishing in various places around your neighborhoods. Unlocked, and ready to be used on your lots. 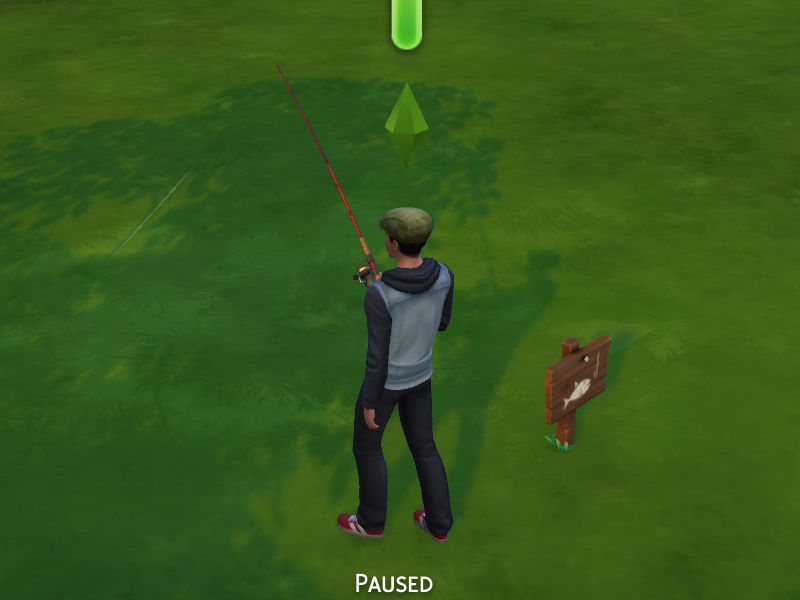 There are 5 common, 2 uncommon, and 3 rare, for a total of 10 fishing spots, all with a unique combination of fish and collectibles that can be found. They can be found, sorted by rarity, under Buy Mode - By Function - Decorations - Miscellaneous. 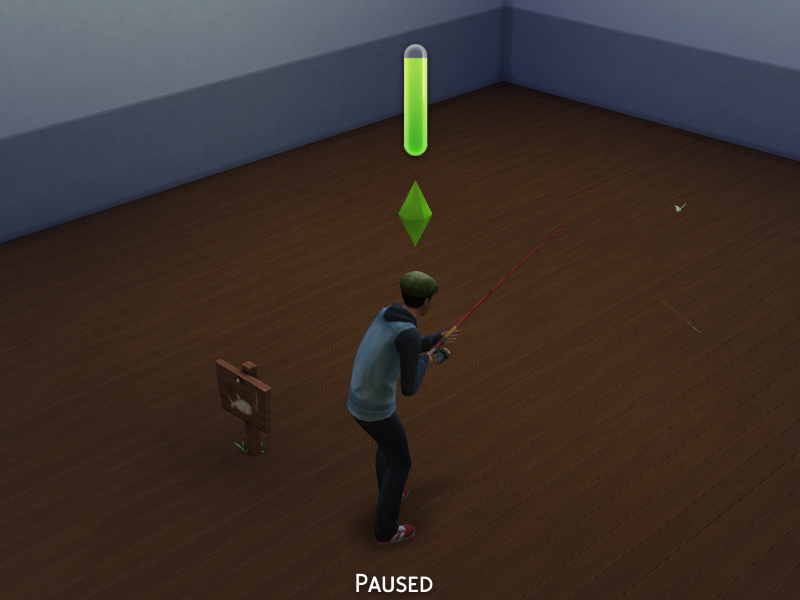 The fishing spots can be placed indoors or out, and spawn jumping fish in front of them. 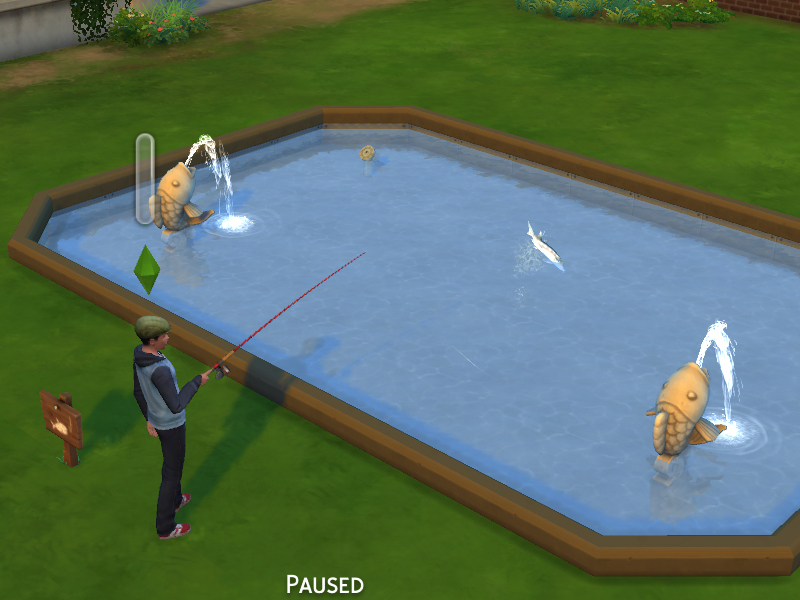 Go fishing in in your lawn, or even in your living room! But the best use, in my opinion, is when they are used with fountains. Spawn jumping fish in your own fountains, and then catch them! These are cloned, non-default objects, and therefore should not conflict with any other mods.